Le French Book (NY), 9781939474308, 270pp. An electrifying thriller about the rise of extremism. Two ritual murders--one in Rome and one in Jerusalem--rekindles an ancient rivalry between modern-day secret societies for knowledge lost at the fall of the Third Reich. Detective Antoine Marcas unwillingly teams up with the strong-willed Jade Zewinski to chase Neo-Nazi assassins across Europe. They must unravel an arcane mystery, sparked by information from newly revealed KGB files. Inspired from the true story of mysterious Freemason files thought to hold a terrible secret, stolen by the SS in 1940, recovered by the Red Army in 1945 and returned half a century later. 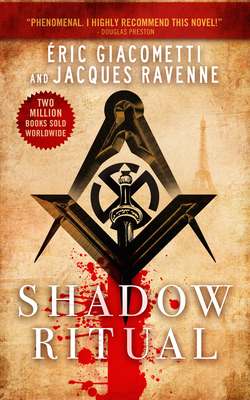 First in a hugely successful series that has sold over 1.5 million copies in France and is translated into seventeen languages. Eric Giacometti, an investigative reporter for a major French newspaper. He has covered a number of high-profile scandals and has done exhaustive research in the area of freemasonry.